Dr Lars Wiethaus joined CRA as a Vice President in June 2016 and splits his time between the Munich and Brussels office. Previously, Lars was a Director and head of the Brussels office at E.CA Economics. He started his career with LECG (Evans/Padilla group) in London. 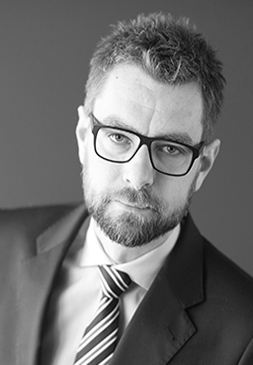 With more than 10 years of consulting experience, Lars advised on numerous complex transactions including Microsoft/LinkedIn, Deutsche Börse/London Stock Exchange (intervention), Telefónica Deutschland/E-Plus, Vattenfall/Nuon, Edeka/Kaiser’s Tengelmann, Immonet/Immowelt, Liberty/Kabel BW, Swisscom/SRG/Ringier, Six/PayLife, and Portugal Telecom/Sonaecom. He has worked on a large variety of Article 102 cases and those involving vertical restraints, with a particular focus on network industries and platform markets. Lars has ample litigation experience, covering both defendants’ and claimants’ positions in claims concerning information exchanges, cartels, and vertical restraints. He has assessed damages in multiple high profile claims, including in the smart card chips, automotive, trucks, beer, glass, telecoms, payment cards, and online distribution sector. He has advised on various regulatory matters in the field of telecommunications and energy. Lars is particularly experienced in cases concerning the European Commission, the German BKartA, the Austrian BWB and the Swiss WEKO. Lars has served as an expert at Court. Lars is a co-editor of the Journal of European Competition Law and Practice. He has published in the International Journal of Industrial Organization, Telecommunication Policy, Review of Industrial Organization, Information Economics and Policy, Economics of Innovation and New Technology, Journal of European Competition Law and Practice, and Wirtschaft und Wettbewerb. Lars regularly speaks at conferences and competition law seminars and provides economics training for judges. Recent recognitions as a leading economist and awards include Who’s Who Legal Competition, Who’s Who Legal Future Leaders, Who’s Who Legal Experts and the GCR Awards for the Merger Matter of the Year (Microsoft/LinkedIn). The Commission’s E-commerce Sector Inquiry – Time to change presumptions on vertical restraints? Competition Law and Policy Debate, forthcoming, with S. Chisholm. Digitalisierungsvorschriften in der 9. GWB-Novelle, Wirtschaft und Wettbewerb, forthcoming, with M. Klasse. Price-cost analysis of retro-active rebates: One clarification and three propositions in line with Post Danmark II, Neue Zeitschrift für Kartellrecht, 310-315 7/2016. Efficiency defence in telecom mergers and other investment intensive industries. European Competition Law Review, 7-13, 2016, with R. Nitsche. Do Internet users really pay with information about themselves? Revue Concurrences, 55-60, 4-2015. Google’s Favouring of Own Services: Comments from an Economic Perspective. Journal of European Competition Law & Practice, 6, 506-512, 2015. Größe und Verhandlungsmacht – ökonomische Grundprinzipien am Beispiel der Liberty Global/Kabel-BW Fusion. Wirtschaft und Wettbewerb, 35-49, 2015, with P. Heidhues and R. Nitsche. Upward Pricing Pressure Analysis: Critical Issues in Recent Applications. Journal of European Competition Law & Practice, 6, 48-53, 2015, with R. Nitsche. Margin squeeze: An overview of EU and national case law. e-Competitions Bulletin Margin squeeze, Art. N° 65238, 2014, with R. Nitsche. Competition Law in Regulated Industries: On the Case and Scope for Intervention. Journal of European Competition Law and Practice, 3, 409-414, 2012, with R. Nitsche. Market definition of broadband Internet services in Slovakia: are fixed and mobile technologies in the same market? Information Economics and Policy, 28, 39-56, 2014, with L. Grzybowski, R. Nitsche and F. Verboven. Access regulation and investment in Next Generation Networks – a ranking of regulatory regimes. International Journal of Industrial Organization, 29, 263-272, 2011, with R. Nitsche. On the Competitive Effects of Virtual Mobile Network Operators. Telecommunication Policy, 34, 262-269, 2010, with P. Kalmus. Knowledge Disclosure in Buyer-Supplier Relationships. Review of Industrial Organization, 31, 275-288, 2008, with W. Bönte. Cooperation or Competition in R&D when Innovation and Absorption are costly. Economics of Innovation and New Technologies, 15, 569-589, 2006. Absorptive Capacity and Connectedness: why competing firms also adopt identical R&D approaches. International Journal of Industrial Organization, 23, 467-481, 2005. The Handbook of Competition Economics 2016 – Germany (country chapter). Global Competition Review, 2015, with H. Friederiszick and R. Nitsche. The Handbook of Competition Economics 2015 – Germany (country chapter). Global Competition Review, 2014, with H. Friederiszick and R. Nitsche. The Handbook of Competition Economics 2014 – Germany (country chapter). Global Competition Review, 2013, with H. Friederiszick and R. Nitsche. NGA: Access Regulation, Investment and Welfare – A Model Based Comparative Analysis. ESMT No. WP-110-02, 2010, with R. Nitsche. Großhandelsmärkte für Strom – Marktintegration und Wettbewerb aus deutscher Perspektive. Energiewirtschaftliche Tagesfragen, 3-2010, with R. Nitsche, A. Ockenfels and L.-H. Röller. The Electricity Wholesale Sector: Market Integration and Competition. ESMT No. WP-110-02, 2010, with R. Nitsche, A. Ockenfels and L.-H. Röller. Zugangsregulierung – Auswirkung auf Investitionen in das Festnetz in der Schweiz. Eine Studie für die Swisscom AG, ESMT Competition Analysis, 2009, with B. Dessens and H.W. Friederiszick. Research and Development – Business Strategies Towards the Creation, Absorption and Dissemination of New Technologies. Saarbrücken: VDM Verlag Müller, 2007. Why Powerful Buyers Finance Suppliers’ R&D. Paper presented at the EARIE, 2006 and 14th WZB/CEPR Conference on Markets and Politics, 2006, with W. Bönte. Network Access and Quality Joint Ventures. Paper presented at the Brussels Roundtable on Competition in the Telecommunications Industry, 2006, with P. Kalmus. Efficiency gains from airline alliances and the indispensability of agreements to realise them. Working paper, 2006, with M. Bennett and J. Padilla. Excess Absorptive Capacity and the Persistence of Monopoly. Paper presented at the EARIE 2005 and 2nd ZEW Conference on Patenting and Innovation, 2005. Forschung und Entwicklung: Wettbewerb oder Kooperation? wisu das wirtschaftsstudium, 33, 682-690, 2004, with W. Pfähler.